Navigating a truck accident lawsuit can be difficult and complex. 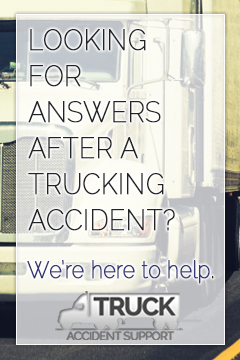 Individuals who are involved in a truck accident should immediately consult a truck accident attorney. A truck accident attorney can help accident victims to collect evidence, handle the appropriate documentation, and provide guidance throughout the legal process. 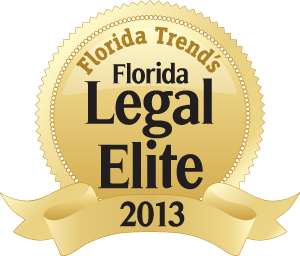 Depending on the nature of the truck accident, a number of parties can be held liable. Negligent parties responsible for a truck accident may include the driver, the trucking company employing the driver, another driver involved in the accident, and third parties such as manufacturing and maintenance companies of the involved trucks or vehicles. In order to determine a truck accident lawsuit’s defendant, or party being sued, a number of factors must be examined to determine the cause of the accident. Immediately after a truck accident, immediate scene investigation will occur on the part of the trucking company and its insurance company. These investigations are typically detailed and thorough. The investigation process may include collecting witness statements, taking photographs of the accident scene, and examining vehicles for the extent of damage. After the truck accident lawsuit is filed, the defendant and the plaintiff, or the party filing the lawsuit, may agree to reach a settlement. If a settlement is not agreed upon, the truck accident lawsuit may proceed to trial. A truck accident lawsuit may be determined by a judge or a jury. A truck accident lawsuit can take up to years to complete the proper gathering of evidence and the trial itself. When a truck accident lawsuit is filed against a trucking company, it can be difficult and time-consuming to collect damages. Larger trucking companies and their insurance companies are typically well-organized and well-funded. This allows these companies the power to provide extensive defenses in order to avoid losing a truck accident lawsuit and owing damages to the plaintiff. To defend against experienced companies, the plaintiff should seek a knowledgeable truck accident lawyer with a proven track record in truck accident lawsuit success. Boschert, Sherry. “Evaluating attorney part of the lawsuit process; be knowledgeable and prepared when selecting and working with lawyers on malpractice lawsuits.” Family Practice News 1 Aug. 2005: 79. Academic OneFile. Web. 11 Oct. 2013. 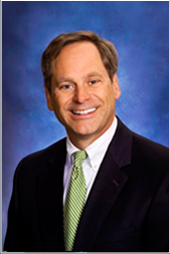 Spratlin, Arthur D., Jr. “Identifying common evidentiary issues–in–trucking litigation.” Brief Fall 2011: 32+. Academic OneFile. Web. 11 Oct. 2013. “Truckers’ Lawsuit Forces Albany to Ease Rules.” New York Times 5 Dec. 1993. Academic OneFile. Web. 11 Oct. 2013. Vlasic, Bill. “Lawsuit adds to difficulties for carmaker.” New York Times 5 Feb. 2010: A1(L). Academic OneFile. Web. 11 Oct. 2013.